At Palm Beach Oriental Rug Cleaning Pros, we professionally clean every type of Oriental rug and area rug from inexpensive floor coverings to Navajo rugs to valuable Persian rugs in Jupiter, FL. We individually inspect and test each rug to determine proper cleaning procedures as well as the best method to fit your budget. We offer all cleaning methods from hand washing, shampooing, dry cleaning, and full emersion recirculation. 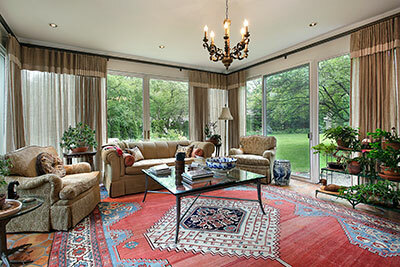 Oriental rugs should only be cleaned in a well-equipped facility, and never cleaned on the floor in your home. Pretreatment and hand washing can only be performed under controlled conditions. Pet stains and wine stains for example require special treatment prior to washing to insure the best results. Mustiness or minor odor problems caused by pets may be helped by our deodorizing treatment at the time of cleaning. But standard cleaning will not always remove pet odors. When a rug has been saturated with pet urine, we recommend a total submersion cleaning process combined with an odor eliminator enzyme treatment. We recommend that all wool rugs be moth-sprayed at each cleaning. We suggest added protection be added to help resist spots, spills, and stains. 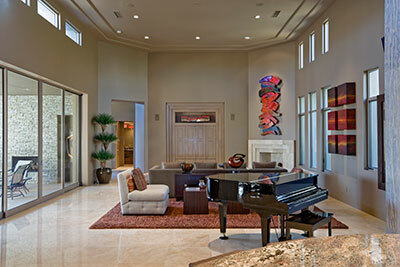 Our exclusive process allows us to clean all types of rugs effectively and safely. From fine antique oriental rugs, to inexpensive throw rugs and everything in between. Utilizing the latest in truck-mounted equipment, our trained technicians are also able to restore your homes carpets safely and effectively. Over time, rugs may require repair or restoration. Replacing your worn fringes or edges can bring life back to your rug. Our knowledgeable staff has the experience to guide you through the process. 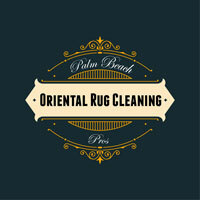 Palm Beach Oriental Rug Cleaning Pros specializes in professional treatment, restoration and preventive care of all types of Oriental rugs in Jupiter, FL. Our deep knowledge of rug types, weaving, dyes and cleaning methods ensure that your precious rugs are treated with the appropriate techniques and handled with the utmost care. We use hand-spotting techniques, state-of-the-art cleaning methods and equipment. We recommend professionally cleaning your rugs at least every one to three years, depending on the amount of traffic, environmental conditions and soil. Our cleaning process starts with inspection to determine which cleaning method is best for the rug, from hand-cleaning to dry extraction to a total submersion cleaning process . Next is dust removal via our duster vacuum or compressed air. We then pre-wash each rug using special spotting techniques, shampooing and/or pressure washing. Most rugs are then cleaned in our top-of-the-line 16-foot roller jet rug washer - the most technologically advanced equipment made specifically to clean rugs effectively and thoroughly. Each rug is gently dried in a most sophisticated, fully automated dry room. The final step is a careful inspection when we check the fringe and brush the pile. While there is no guarantee that we can remove all stains, spots or discolorations, with proper care, Oriental rugs can last for generations. When needed, our experts can also repair and restore your rugs by reweaving, Kashmiring, wrapping sides, chain-stitching ends, or patching and adding new fringe.